For those unfamiliar, the Life Orb boosts the strength of all attacks by 30%, at the cost of 10% of your HP for every attack you make. This is essentially God's (or should it be Arceus'?) gift to mixed sweepers. Where physical and special sweepers have choice band and specs, respectively, the closest thing a mixed sweeper can have is the Life Orb. The choice items boost attack by 50%, but restrict you to one move. The Life Orb doesn't get you stuck on one move, so you can switch from a physical to a special move and keep that 30% bonus. Awesome. I know what you are thinking, because I'm psychic. I'm actually half Alakazam by blood. Not really, but I'm guessing you are worrying about that 10% HP loss each turn you attack. Who cares? The only good place to put a Life Orb is on a sweeper, and if you trained it right you put all the EVs into speed and attack/sp.attk/both, so with none in the defenses you're going to die in one hit anyway. Who cares if your precious Pokémon is losing some HP every turn when one Surf is going to take it down in a snap? You might as well make yourself as powerful as you can. However, the 10% shouldn't be completely disregarded. If you come up to a lot of entry hazards, poison, or both, that 10% might be the straw that breaks the Camerupt's back (c wut i did thar?). Without it, you might be able to sweep on a little longer, but when you have that many sources of residual damage every turn things are bound to not turn out pretty. That's why you have to be quick if you have Life Orb. Take the opponent out before they can mess you up with more sources of damage over time. Let's take a look at some good users of the Life Orb, shall we? 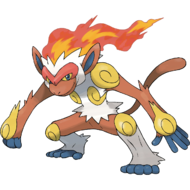 Probably the most notorious wall breaking mixed sweeper, Infernape not only boasts STAB'd Flamethrower and Close Combat, among others, but also superb speed, attack and special attack. Stick a Life Orb on there and you've got a Pokémon that can take out a Snorlax wall and still be home in time or dinner. Wait. I think that supposed to be "in time to defeat a few more Pokémon." It's one of those two. Dinner, or sweeping more Pokémon. I always get those two things mixed up. Whatever. Moving on. That's right. The Big Kahuna of Gen 1. A lot of people TRIED to train up a Dragonite, but most folded after realizing the work it takes to level it up all the way from a Dratini. But you didn't. You worked your hiney off to get this beast. That or you just caught one of the really high level Dragonairs that you can find in Black and White after you beat the game and gave it a rare candy or two. Either way, it's also a prime candidate for the Life Orb. 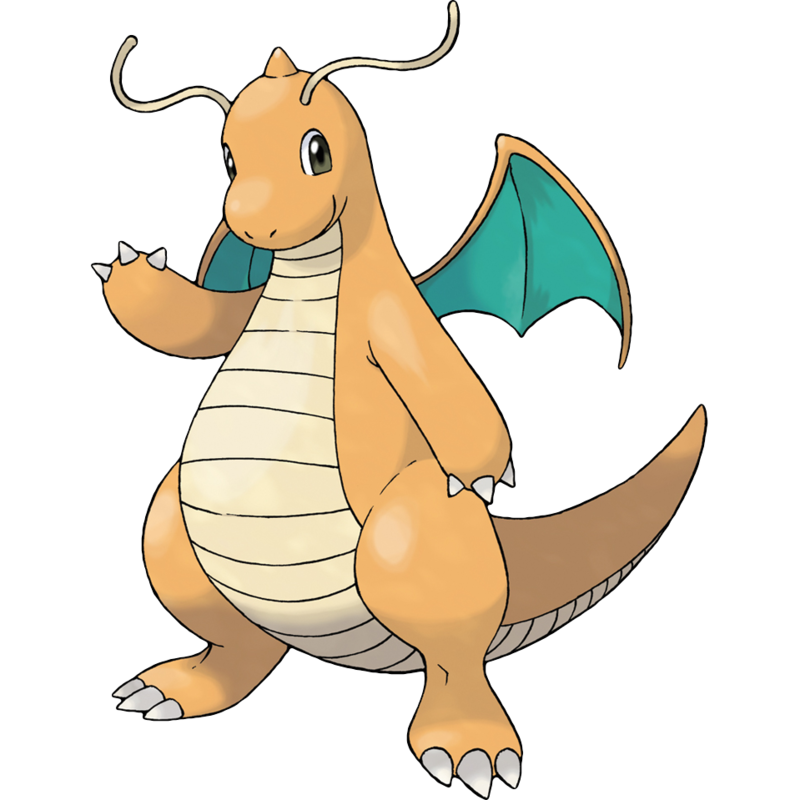 Dragonite, because of his stellar attack stats and access to everything from Superpower to Ice Beam, is a common mixed sweeper choice. Throw a Life Orb on there and you've got yourself a force to be reckoned with. Being one of the strongest offensive Pokémon, a Life Orb would almost guarantee you a OHKO, unless your opponent resists that attack type. Unfortunately, Dragonite is really slow. His Speed is only 80, and that 10% you are losing each turn just makes it easier to get OHKO'd. Because of this, be sure to put an increased priority move on Dragonite. That way you don't have to worry about being outsped. Hopefully you got that Dratini with Extremespeed in HG/SS. Believe me, a Life Orb boosted Extremespeed is nothing to scoff at. There it is, Pokéfolks. My half-asleep exploration of the Life Orb. I probably will have dreams about this item. The power of 1.3 people, but at the cost of slowly dying at a 10% rate with each move I make...Wow. I even creep myself out sometimes. I should probably get a shrink.